When you are a young team like the New Orleans Pelicans, every victory is much more than just a win. It’s a chance to make a statement to the rest of the NBA—especially if the win happens to be against one of the top teams in the league like the Houston Rockets. The Pelicans got to make a heck of a statement Friday night with a 115-113 win over the Rockets. But the win came at a price that the Pelican can’t afford—DeMarcus Cousins. 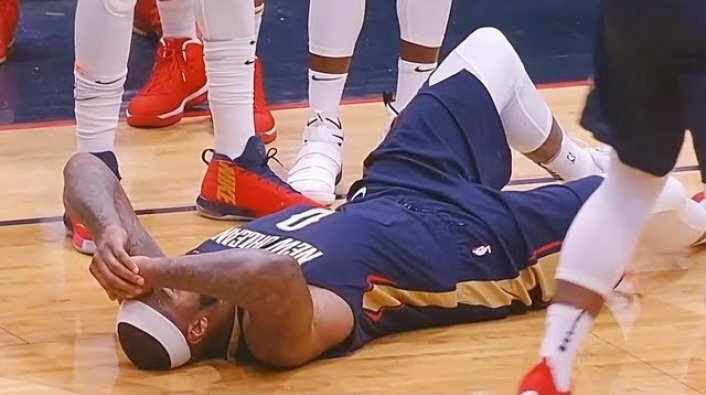 Cousins had just missed a free throw after getting fouled making a shot that gave the Pelicans a four-point lead, 113-109 with 15 seconds to play. He attempted to rebound his missed shot but landed hard on his left foot. He hopped a couple of times before finally going down and laying on the court with his head in his hands. The fear with non-contact injuries such as this is an Achilles tear. An MRI after the game confirmed that was the case. He’ll have a long recovery ahead and is definitely out for the rest of the season. Cousins had averaged 25.2 points and 12.9 rebounds in 48 games this season. When he went down, he had recorded 15 points, 13 rebounds, and 11 assists; it’s his second triple-double in three games. Houston took a one-point lead after the first quarter, 30-29. Then the Pelicans took control of the game in the second quarter and held a 66-53 lead at the half. But the Rockets were not going to go away easily, and bit by bit chipped away at the lead throughout the second half. A layup by Luc Mbah a Moute tied the game up at 104-104 with 2:34 left to play. Following the injury to Cousins, Chris Paul made a trio of free throws to pull the Rockets within one, 113-112. But Darius Miller made a pair of free throws with four seconds left effectively icing the game. James Harden tacked on another point to make the final 115-113. 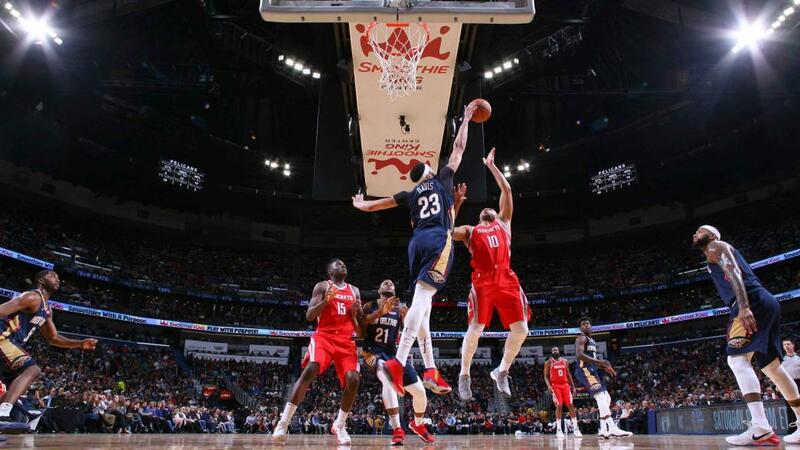 Anthony Davis led the way for the Pelicans with 27 points and 11 rebounds followed by Jrue Holiday with 21 points. Darius Miller chipped in 20 in 29 minutes off the bench. Chris Paul led the way for Houston with 38 points. Eric Gordon had 27 off the bench and James Harden chipped in 23. The win improved the Pelicans record to 27-21 on the season. Should the playoffs start tomorrow, they’d be the No. 6 seed in the West. But their hold on the spot is a tenuous one at best. They are only a half-game ahead of the Portland Trail Blazers and three losses from being out of the playoffs. With Cousins gone, the team will have to lean on Anthony Davis to carry them the rest of the way. The Pelicans will get their first chance to prove they can still compete Sunday when they face the Clippers. Houston will try to get back on the right side of the scoreboard on Sunday as well when they face the Phoenix Suns.